Calendar - Time to take on the Gypsy Moths! Calendar \ Details - Time to take on the Gypsy Moths! Time to take on the Gypsy Moths! 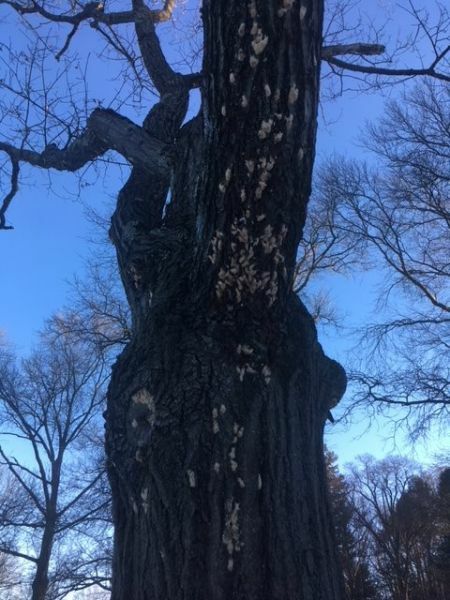 The Gypsy Moths are Coming! Learn how to identify and destroy this invasive pest before it does serious damage to your backyard and neighborhood! The Gypsy moth, an invasive pest, is making a comeback in New England. Introduced to the United States in 1869, the gypsy moth population explodes to very high numbers approximately every 10 years. During these outbreaks, the caterpillars strip trees of their leaves, defoliating neighborhoods or even entire forests in late June. While most healthy trees can survive a single defoliation, successive infestations can kill trees, especially those already stressed or which suffer drought or other damage. This is the second year of Gypsy moth infestation in the Blue Hills. It’s time to defend our trees! Come and learn many interesting facts about this pest including its connection to the spread of Lyme disease, reasons for its importation into the U.S. and how you can help manage the outbreak. This workshop, led by the Wakefield Estate’s Landscape Director Debbie Merriam, will begin with a brief presentation followed by outdoor identification and removal of egg sacks from trees. Rain or shine; and dress accordingly. Space is limited, call 617-333-0924 to rsvp. $5-10 donation. Co-sponsored by The Friends of the Blue Hills.